An update to Vol. 2, pp. 594–606. In 1990, 35 years after Y. Yadin began excavations at Tel Hazor, a renewed excavation dedicated to his memory commenced at the site and has been underway continuously every summer. The Selz Foundation Hazor Excavations in Memory of Y. Yadin are a joint project of the Philip and Muriel Berman Center for Biblical Archaeology at the Institute of Archaeology of the Hebrew University, the Israel Exploration Society, and, until 2000, the Complutense University at Madrid. The renewed excavation is directed by A. Ben-Tor. 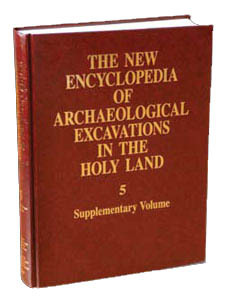 The excavations have three main objectives. First, they aim at assessing the stratigraphical, chronological, and historical conclusions outlined by the Y. Yadin expedition. Second, they explore several important issues not resolved by Yadin’s excavations. Noteworthy among these are chronological issues, including the rise of “greater Hazor,” the date of the fall of Canaanite Hazor, and the date of the Iron Age II fortifications (gate and casemate wall, the so-called “Solomonic Gate”), attributed by Yadin to the tenth century BCE; and the complete exposure of the structure investigated by Yadin and referred to by him as “the ‘palatial’ building of the Middle Bronze Age II,” the northeastern corner of which was discovered in 1958. The third objective of the renewed excavations is to preserve and partially restore some of the most important monuments uncovered, prevent their further deterioration, and help develop Hazor into an attractive site for visitors.